Polar’s fitness trackers are considered as some of the best options on the market. They come with good features and affordable prices. 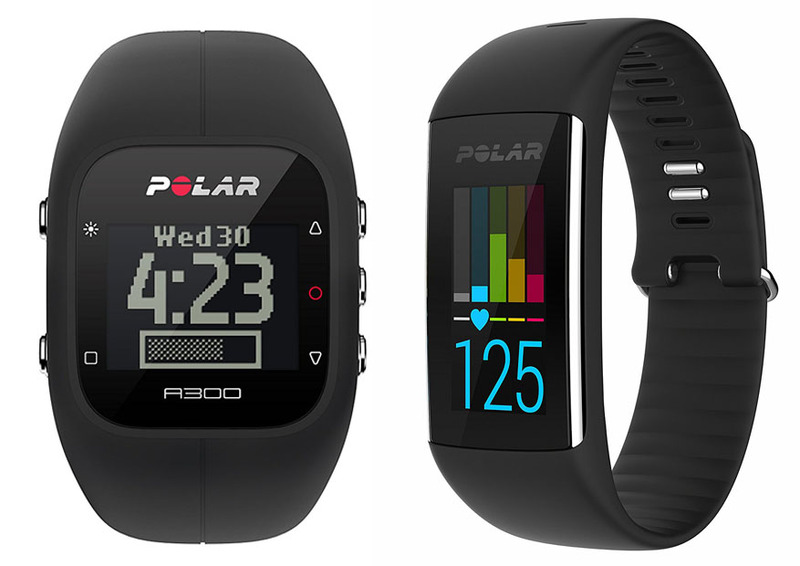 In the article below, we will help you choose between two popular Polar fitness trackers, Polar A300 vs A360. What is the difference between the two? Which one is better for the money? – Which one of Polar A300 vs A360 that gives a better value. Polar A300 and Polar A360 are already very different from the designs. Polar A300 is quite thick and bulky. The thick unit makes it not very comfortable to wear, or at least not as comfortable as Polar A360. Note that Polar A300 has a monochrome display and is operated with side buttons. This model is water-resistant, able to withstand some splashes. See also: Polar A300 vs M400. On the other hand, Polar A360 comes with a color TFT display and a capacitive touchscreen. The display is much sharper and more detailed. It is generally more pleasant to look at. The touchscreen control is easy and intuitive. Note that this model is waterproof, which means that it can be used while swimming. Polar says that the wristband is interchangeable, so you can customize the color. Polar A300 already comes with good basic features. It already tracks your steps, calories, and sleep quality. It tracks your activities 24/7 and notifies you whenever you’ve been inactive for some time. The new firmware even supports smart notifications. The smartwatch can vibrate whenever there is an incoming notification on your smartphone. However, there are some limitations on Polar A300. First, it does not truly track distances; it simply calculates your total steps throughout the day. Second, it does not have a built-in heart rate sensor. It needs the optional chest strap for heart rate monitoring. Polar A360 comes with more features. It has the basic features and smart notifications, just like Polar A300. In addition, Polar A360 comes with built-in heart rate monitoring, true speed and distance tracking, and daily activity goal. It also has more swimming features. If you select the swimming training program, it can measure your calories and heart rate while swimming. It also has some apps and web services. Polar A300 has an amazing battery life. It can last for about four weeks with the 24/7 activity tracking. This is impressive, as you only need to recharge the battery every four weeks. On the other hand, Polar A360 has a pretty good battery life of about 3 – 4 days per charge, which isn’t bad. The actual battery life depends on how often you use the smartwatch. Between the two, we recommend you to choose Polar A360. It comes with a better design and a color touchscreen. It also comes with better features, such as the built-in heart rate monitoring, speed and distance tracking, and swimming mode. You will benefit more from this model, especially if you often go running or swimming.